Black On Campus » Blog Archive » Black Alumni in the Obama Administration: Eric Holder, Jr.
Black Alumni in the Obama Administration: Eric Holder, Jr.
Attorney General Eric Holder, Jr.
Barack Obama has surrounded himself with a combination of former adversaries, seasoned insiders, and brainy interlopers (like the president himself). Indeed, many of his Black appointees fall into the last category, with lots of education and lots of experience in related areas, but somewhat less direct experience on Capitol Hill. In terms of education, President Obama’s Black appointees are a lot like their counterparts in the House and the Senate. What African Americans in the House and Senate may lack in multi-million dollar personal fortunes they make up for in education and intellectual achievement. For each of the Obama appointees that I am profiling this week, I have included their educational background as well as a brief sample of the “buzz” that has developed around their academic achievements. That there actually is buzz around their academic credentials is something of a phenomenon in itself; and yet there it is, more evidence that the current administration (still too recently installed to have either failed or fulfilled its political promises) has certainly set in motion a significant cultural shift. For at least this brief moment, media outlets are turning away from their usual focus on Black academic failure to focus on the Black academic standouts in the White House. B.A. (History), Columbia University; J.D., Columbia University School of Law. The buzz on Eric Holder, Jr.: Virtually every news source that has covered Holder’s nomination and confirmation as attorney general has also addressed his education. Most mention that that he is a graduate of both Columbia and Columbia Law School, but some also note that he completed high school at Stuyvesant, one of New York City’s most prestigious magnet schools. The more favorable the article, the more detail it is likely to include on his education, and the positive buzz around Holder suggests that his achivements in high school, college, and law school, as well as his involvement in community projects and volunteering foreshadow his professional successes as well as his interest in and qualification for national service at the highest levels. More negative coverage portrays Holder as an elite (and possibly elitist) insider with questionable connections to big agriculture and other corporate interests. 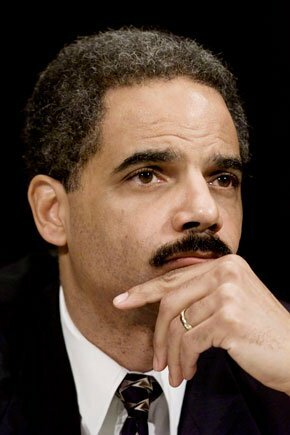 For more on Eric Holder, check out: “10 Things You Didn’t Know About Eric Holder, ” in U.S. News and World Report; “Likely Obama Pick’s NY Roots,” in Newsday; “So Who Is Eric Holder,” in The Daily Kos; “First Caribbean American Confirmed as U.S. Attorney General,” in Caribbean360.com; “Holder, High Achiever Poised to Scale New Heights,” The New York Times.